As municipalities are considering how to improve their local connectivity, subscriber interest in video services continues to drop. The associated expenses such as head end equipment and the rising cost of content lead a number of them to offer only Internet access and voice. Longmont, Colorado, and Sandy, Oregon, are two recent networks that have decided not to directly offer video, though Sandy is negotiating with a vendor to include a video package in their service. 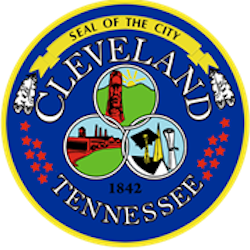 Cleveland, home to approximately 41,000 people, is considered part of the Chattanooga statistical metro but is not served by the Chattanooga EPB, in part due to state restrictions. Even though the FCC scaled back those state laws in February, the issue is under appeal. Chattanooga border communities such as Cleveland are in limbo as they debate whether or not to wait for the possibility that EPB may one day extend out to them or to take action on their own. "We owe it to the community to determine whether or not this is a viable project or not," said Webb.